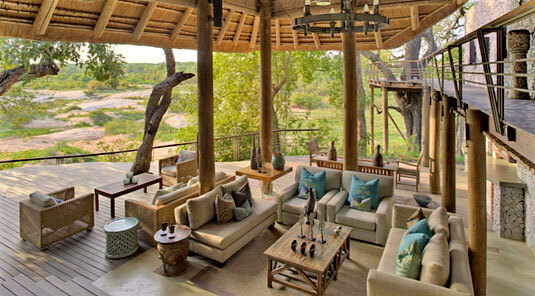 Situated in the western sector of the 65 000 hectare (160 600 acre) Sabi Sand Game Reserve, which adjoins the Kruger National Park, Mpumalanga Province, South Africa. 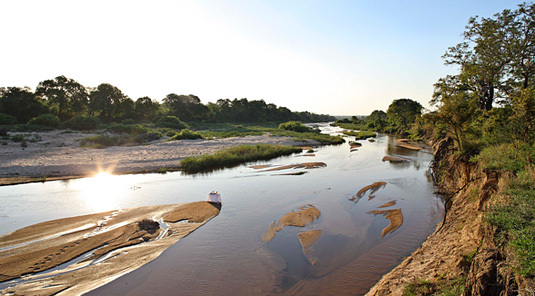 Dulini Leadwood Lodge is located on the confluence of the Sand and Mabrak Rivers, with a traversing area of 10 000 hectares (25 000 acres). 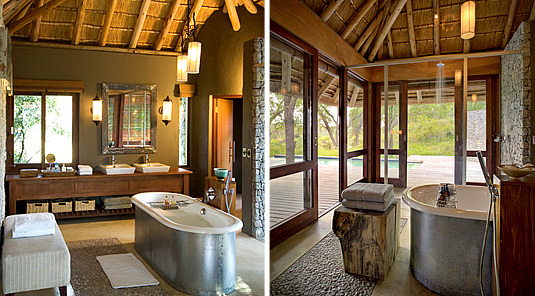 Recently refurbishes Dulini Leadwood Lodge offers the epitome of a wildlife safari experience. 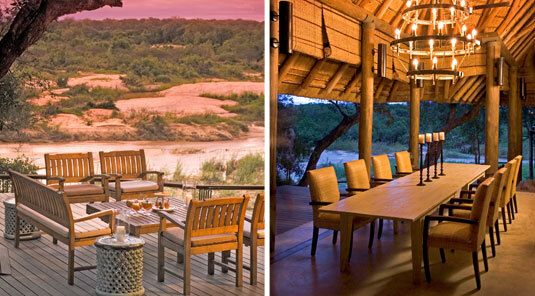 A 5 hour drive on good roads from Johannesburg to the Newington Gate of the Sabi Sand Game Reserve. 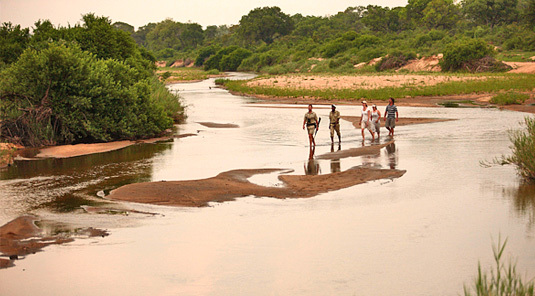 Federal Air operates daily flights from OR Tambo (ORT) to Ulusaba airstrip, followed by an easy game drive to the lodge. 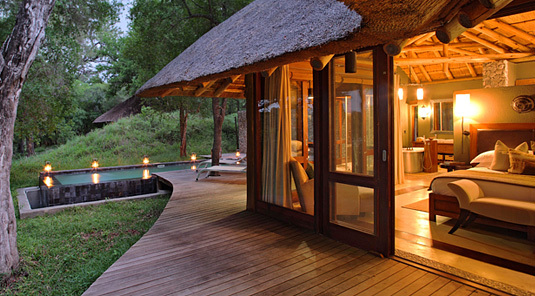 SA Airlink offers daily flights from ORT to Kruger Mpumalanga International Airport, followed by either a road or air transfer to the lodge. 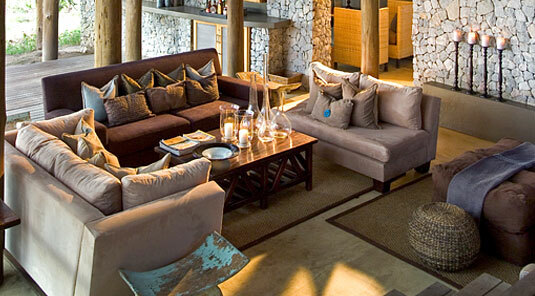 The elevated dining and sitting areas at Leadwood Lodge boast dramatic views out over the Sand and Mabrak Rivers. 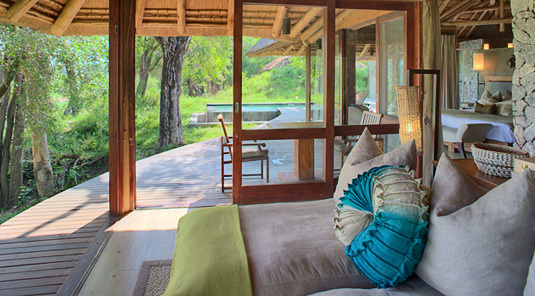 The clever use of steps and levels throughout the Lodge creates intimate spaces for quiet game viewing, or unwind with a book beside the large lodge swimming pool. 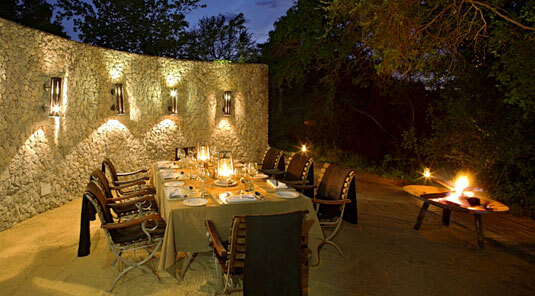 Pan African meals are shared on the open deck or in the boma (open air dining area) around a roaring fire or in the bush. 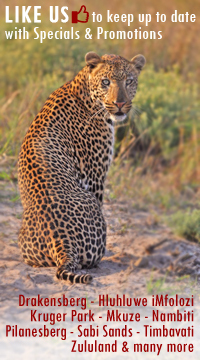 View Africa’s most impressive wildlife on morning and afternoon/evening game drives in open 4x4 safari vehicles with expert guides and Shangaan trackers. 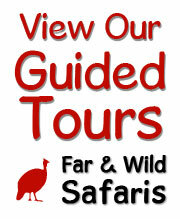 Guests can also enjoy interpretive guided bush walks with excellent birdwatching. Summer months are hot and humid (Nov to Mar). 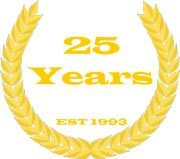 Temperatures start to cool slightly (Apr), and winter months are warm with cold nights/dawns (May to Jun). July to September is very dry with cold night and early morning/late afternoon temperatures. Spring is very dry with hot, dry winds (Sept to Oct). 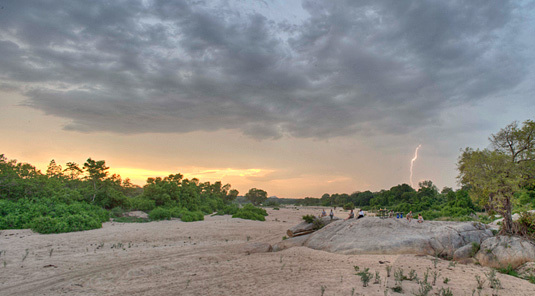 The first rains start towards the end of October. Rains or typical afternoon thundershowers (Nov and Mar), with potential scattered afternoon thundershowers (Apr). 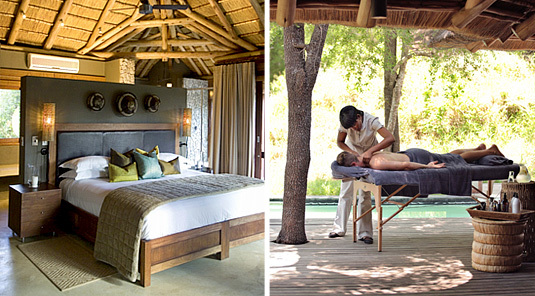 Leadwood Lodge is situated in a Malaria area and necessary precautions should be taken. 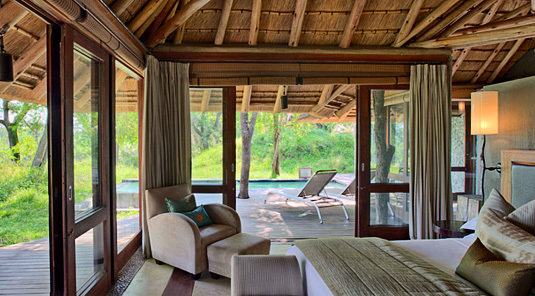 Children are welcome when the lodge is booked for sole-use. 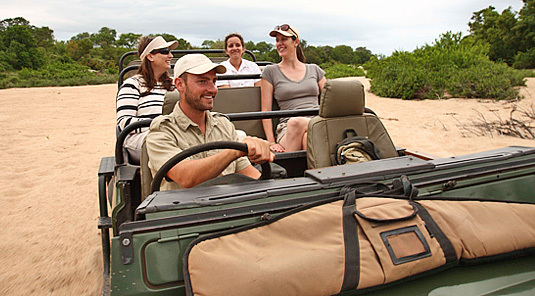 Regretfully, children 5 years and younger cannot participate in game drives. 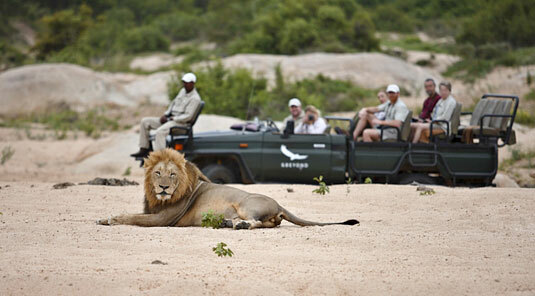 Children aged 6 to 11 on game drives at lodge manager’s discretion. 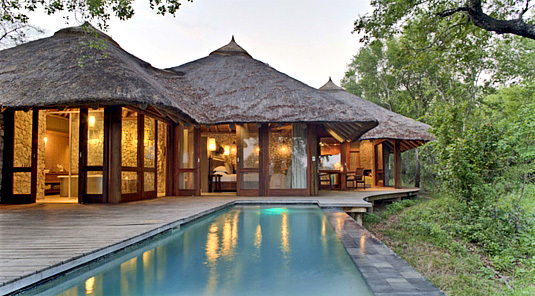 One triple room for a child 11 years and younger sharing with its parents is available for sole-use bookings.